Maria E. Flaks | MacDonald Law Group, LLC | Washington D.C.
Ms. Flaks joined MacDonald Law Group, LLC in December of 2012. 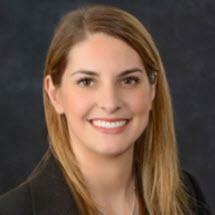 Ms. Flaks’ primary practice focus includes toxic tort, products liability, and general negligence litigation. Her work involves litigation in the federal and state courts of Maryland and the District of Columbia. Prior to joining MacDonald Law Group, Ms. Flaks served as a law clerk for Kaminkow & Woods, P.A., a criminal defense firm in Baltimore, Maryland, and has completed internships at the Maryland Office of the Public Defender and the Maryland Attorney General's Office's Consumer Protection Division. She enjoys reading and traveling, and is fluent in oral and written Spanish. She resides with her family in Rockville, Maryland.